After four years of working as a "permanent" full-time Executive Director, launching a start-up nonprofit, and only taking a few short-term consulting gigs from existing clients, I am once again available for new opportunities. So, what have I been doing these four years? I took on the challenge of being the first Executive Director of Recovery Cafe San Jose. And, yes, there were many challenges and frustrations, but it was also one of the greatest experiences of my professional life. RCSJ is a healing community for those traumatized by addiction, homelessness, and mental health challenges. Through support groups, classes, community meals, and social activities, members build their recovery capital, recognize their self-worth, and achieve their personal goals. When I arrived, the Cafe had only been operating for about one year, and was only open three days each week, and serving four meals. Of those meals, only one was prepared fresh in-house; the others were delivered by another partner organization. They are now open five days each week, and serving seven meals, all created in their own state-of-the-art, commercial quality kitchen. In 2015, there were only had about 50 members who were actually participating in their Recovery Circles regularly. There were no consequences for missed Circles, and not much direction for what was expected of members besides showing up. As I leave, membership is over 160, with all members actively sharing in Circles and a number of other activities, and holding themselves (and their peers) accountable for being present and participating. When they're going to miss a Circle, they call in to make sure they don't lose their valued membership. In 2015, the Cafe had a handful of Circles, and a few drop-in activities. Now there is a full schedule of Circles, a robust School for Recovery curriculum, and a Community Participation Program that uses one-on-one kitchen and barista training to build self-esteem and social skills, as well as job skills. Then, the Cafe had not yet lifted any members up to be peer leaders. Now 30% of Circles are peer led, members have created School for Recovery classes, taken charge of the coffee bar, participated in a planning retreat and program committee meetings, and taken on other leadership roles. Along the way we also did a $1.2 million renovation of the Cafe itself, financed through CDBG funds, and all the delays, bureaucracy, endless meetings, and hard work that implies. Not to forget operating programs at a different location while managing the construction at home base. Even with all that, much of what we did in the last four years was behind the scenes. When I walked in, basic things like Worker's Comp coverage were lacking, the financial reports to the board had the same wrong figure in the "balance forward" space month after month, there were no policies on holidays, time off, or benefits, etc., etc. Needless to say, that was all corrected, and they are now in full compliance legally and with best practices of proper financial systems and reporting, and have completed several successful audits. In those four years, I took RCSJ from being barely recognized or understood, to being held up by our peer organizations as a crucial part of the local effort to end homelessness, including being recognized by the Santa Clara County Behavioral Health Board as a "2017 Agency Community Hero." But what I am most proud of and grateful for is the opportunity to have been a part of the lives of the Cafe members. It is their strength that kept me going and kept me humble. It is their example of striving for something better that inspired me to hold on to the highest ideals of what the Cafe can and should be. It is sad to end this chapter of my career, but it is time to move on and apply these lessons in the next big challenge. I received a kind email from Erik Anderson, of the Donor Dreams Blog, suggesting I take on the subject of The Future of Philanthropy for this month's nonprofit blog carnival. Easy peasy, right? Well maybe not. In Erik's call for Future Philanthropy blogs he links to a TED Talk from 2007: Katherine Fulton on You are the future of philanthropy. I've watched the video a couple of times now, and Ms. Fulton makes some great points on several philanthropic trends (and I recommend you also watch it), but it didn't really help me answer the question of what I viewed the future of philanthropy to be. Ms. Fulton begins her exploration with the establishment of the modern foundation form in the U.S. at the end of the 19th century by the Rockefellers, Carnegies, et al, but, indeed, the concept of philanthropy goes back to ancient Greece, meaning "love of humanity," and encompasses the giving of time, heart, and soul, as well as currency. Even the story of "modern philanthropy" predates Rockefeller by at least 150 years, with the establishment of the Foundling Hospital in London. Established for the "education and maintenance of exposed and deserted young children," the Foundling Hospital is considered by many to be the first modern charity. 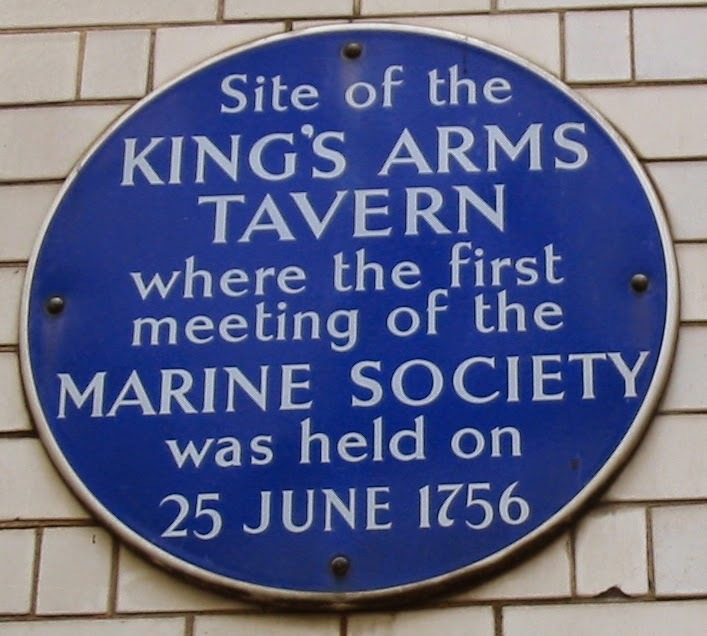 Not long after, "a group of London merchants and gentlemen" met to "discuss a plan to supply two or three thousand seafarers for the navy," founding the Marine Society. They, of course, sought sponsors and donors to support their efforts. Certainly that qualifies not only as philanthropy, but as professional fundraising, and maybe even crowd-funding. Ms. Fulton references Warren Buffet, and another of her slides bears the image of Richard Branson, but what really differentiates these modern philanthropic leaders from Rockefeller and Carnegie, or even from the gentlemen who founded the Marine Society? Is it their motivation, is it their philosophy, or is it their tools? Ms. Fulton describes the philanthropy of 100 years ago as "closed-small-slow-fragmented-short" and contrasts that with the "open-big-fast-connected-long" world of today's philanthropy. "Closed-small-slow-fragmented-short" may seem a somewhat apt description of old philanthropy from today's perspective, but there's no evidence that it was seen as such in 1905, or that it was meant to be "closed-small-slow-fragmented-short" by intentional design. What draws that comparison is not any change in the concept of philanthropy, it is all about the tools. 120 years ago, Andrew Carnegie building libraries across America was very open, connected, big, long, and somewhat radical (okay, it probably wasn't "fast," but what was then?). Today his approach might be to distribute iPads to students instead, but his philanthropic ideals would likely be the same. Even the much vaunted "democratization of philanthropy" is nothing new. 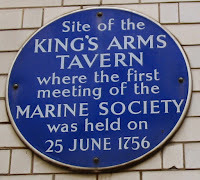 If you read my blog, you know I absolutely love crowd-giving sites such as Benevolent, etc., but at their core, they are simply using new tools to expand upon the giving circles of previous decades that were, themselves, just updates of the old mutual aid societies that go back at least 250 years. I guess what I'm saying is, the impulse to philanthropy is as old as society itself, and that the forms it takes always includes both, the "small and informal" (mutual aid to crowd-funding), and the "large and influential" (Carnegie to Gates). What evolves are the methodologies and tools. There are certainly trends - I've lived through several: money for technical assistance, money for programs only, highly focused outcomes, more data, less data, forcing mergers, encouraging cooperation, and a few others - but those are changes in bureaucracy, not philanthropy. New developments in technology - particularly communications technology - will continue to drive changes in how nonprofits and donors discover each other and build relationships. Trends in giving will continue to be driven by "thought leaders" emerging out of the currently dominant business sector (IE: Carnegie's steel then, Gates' high tech now). Despite the attention given to the "thought leaders" above, the real work of creating social change and improving the lives of ordinary people will always come in the form of peer-to-peer giving and assistance. Solutions-based philanthropy will continue to lose out to empathy-based charity (IE: eliminating poverty versus assisting the poor) as long as total giving remains at only 2% of GDP. Solve that last problem, and then we can talk about real change and a brighter future. Last week I attended the "What Really Matters" webinar from Abila to discuss the findings in their latest Donor Engagement Study. There were a few surprises in their latest findings, and several confirmations of what we've always known, or at least should have sensed. On of the key points that should be obvious, but bears repeating, is that Content is King. What you say is more important than the frequency with which you communicate, or even what medium or channel you are using. And, when it comes to that content, what donors are most interested in is stories. Again, many of us have been harping on this for years, but too many nonprofits have still not heard the message: Your data may help get a signature on a large check, but to get to that point you need to share just one personal story of how your nonprofit has helped one individual. 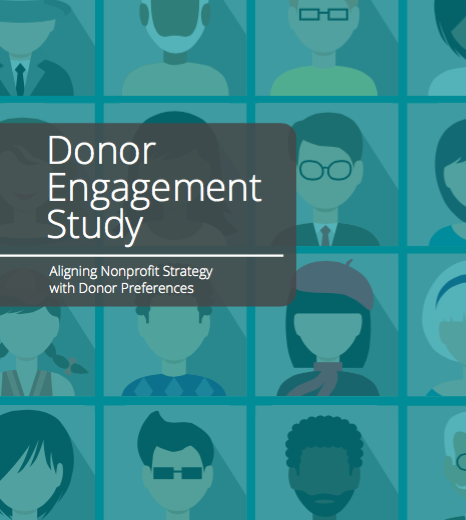 When it comes to Abila's findings that should come as a wake-up call, the most startling is the how misaligned most organizations are with the preferences of their donors. 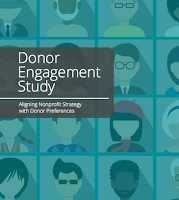 For example, while many nonprofits are dividing their donor lists by gift range, and are differentiating their strategies for large versus small donors, only 3% of groups are always dividing and strategizing differently by age group. Age of donors matters! Each generation has different communications preferences, from what channel (mail, email, social media...), to the frequency, to the message. If you have the same strategy for reaching millennials as you do for their grandparents, one of them (at least) isn't going to be impressed. As presenters Tad Druart and Rich Dietz pointed out, our donors are consumers as well, and they are used to communications from companies like Amazon or eBay that are highly differentiated and targeted based on dozens of factors. When we, as nonprofits, treat all donors like just another member of the herd, donors are noticing and turning away from us. There's a lot more in the report, but I'll leave it up to you to discover. You can visit the Abila.com website to download the full report (it's free).